After graduating from Auburn University’s prestigious McWhorter School of Building Science, completing a four-year ACCE accredited program focused on construction management including specialized training in estimating, scheduling, project management, safety, surveying, sustainable construction and structures, Russ decided to put his education to work and came home to Birmingham to be a superintendent for his father’s custom homebuilding company, DKM Homes, Inc. In 2005, Russ started his own building company in Birmingham, Fireside Homes. After meeting Brooks Harris in 2005, the two residential builders began working on projects together in Pelham, and they developed a strong working relationship. Brooks and Russ ultimately decided to capitalize on each other’s strengths and launched Harris Doyle Homes in 2008. Since that time, the company has grown each year. Harris Doyle Homes was chosen by Allen Harris, the developer of The Springs of Mill Lakes, as one of two residential builders in the new active lifestyle community in Opelika that broke ground in June 2016. The Springs of Mill Lakes is a master-planned residential community of 134 single-family custom homes, specifically designed to appeal to the active 55+ homeowners who seek an easy-living lifestyle surrounded by nature. In addition to 67 acres for active 55+ living, The Springs of Mill Lakes also encompasses a 13-acre senior living campus community and a 45-acre perpetually protected wildlife sanctuary. Its natural setting includes two 3.5-acre mature lakes, one for recreation and one stocked and managed for fishing, as well as a wandering creek and waterfalls. Russ has recently served a 3-year term on the Board of Directors for the Greater Birmingham Association of Home Builders as well as the Parade of Homes Committee and Land Developers Council and is an active member of a nationwide Builder 20 group. He also volunteers with the Children’s Hospital of Alabama and UAB Athletics. He and his wife Jamie enjoy spending time with their two young daughters, and in his spare time, Russ likes to travel and relax at the lake. 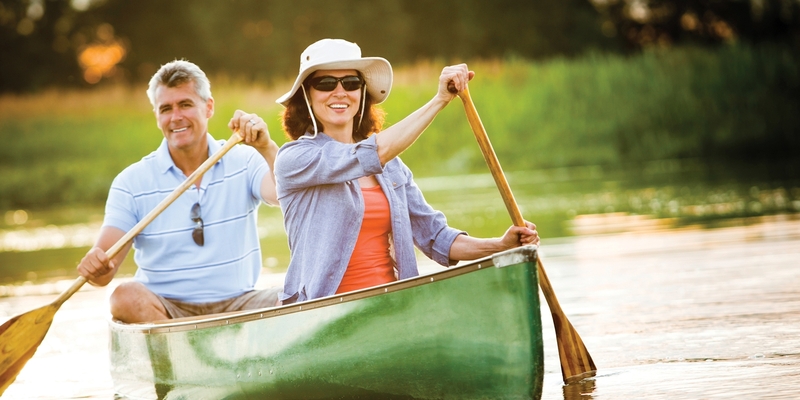 To learn more about The Springs of Mill Lakes, the beautiful 55+ neighborhood surrounded by nature, and to add your name to the community’s VIP interest list, please visit www.TheSpringsOfMillLakes.com. For information about available lots and floorplans, please call (334) 454-4504.